In the center of downtown Williamston, is a small printing business owned and operated by Wendy Shaft and Don Bixler named Limner Press. Shaft and Bixler both come from printing families – one in Missouri and one in Michigan. For Bixler, it started with his grandfather who started his own publishing house in 1892 and even printed a newspaper called The Center Colorado Dispatch. His father followed in his footsteps and then with Bixler in tow. The two met while working different jobs in Anchorage, Alaska, and Bixler ran into Shaft at her work. After their first meeting, Shaft had taken a week off for finals and when she came back, he had quit his other job. After he had quit, he started working the day shift making it easier to see Bixler more often. The 34-year rebound took them to owning and operating their own printing business. 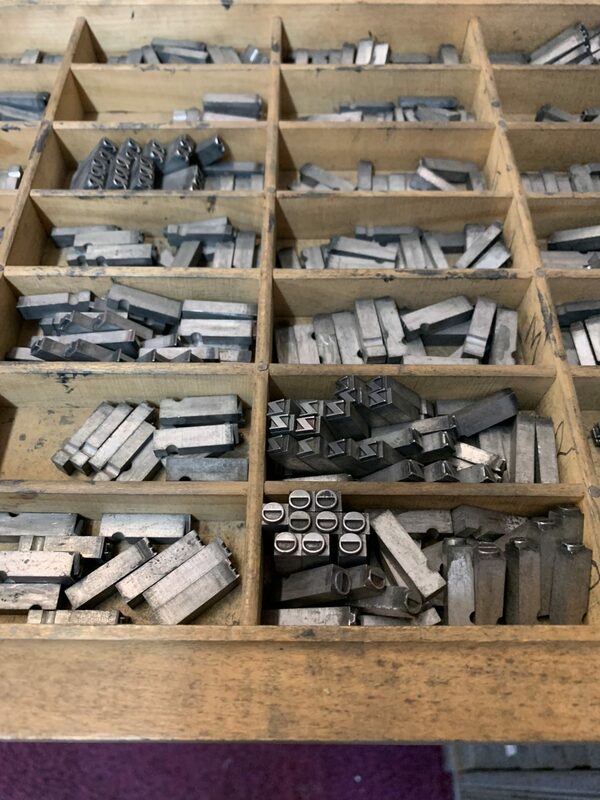 The couple’s shop, is different from the typical printing businesses, as it still uses old carving practices and an old letterpress that involves letter blocks and a motor attached. Shaft is the main artist and creator of prints for Limner Press, while Bixler does the physical printing. She sometimes cuts right out of linoleum blocks but Shaft and Bixler also have the ability to create the design a client wants on design software as well. Sally Theis, a customer for about four years, and has asked for their help with designing her business, Sally Theis CPA PC, and even had her daughter do wedding invitations at Limner Press. Theis said that they are very personable and enthusiastic about Williamston. Bixler and Shaft wanted to create their own business and their own way of printing. They do not hire anyone else and it has been the two of them since they started in 2005 when they moved to Williamston. The couple has been working on their practice together for decades prior to moving back to Williamston. The couple moved back to Williamston to care for Shaft’s mother but they both miss Anchorage because everything was right there and they could drive in the same city to get art supplies and paper. One of the most important things that Shaft mentioned, was keeping up with their computer skills. The couple used the Adobe Creative Suite to create designs on Illustrator, InDesign and edit things on Photoshop as well. Occasionally they will ask for help, Shaft had a friend from Alaska who she used to do art booths with, who helped set up her Etsy shop. “Then in 1985 when I quit working for the other guy and then we’d just been doing our own thing ever since,” Bixler said. It’s been five weeks since Michigan votes decided to legalize recreational marijuana, but Williamston City Manager Corey Schmidt said he does not expect a huge change for community residents. “To the extent that is, if it’s occurring in public, there could be some ramifications there,” said Schmidt.